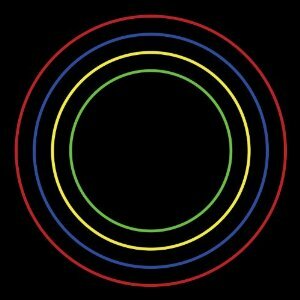 Whoever decided to release “Octopus” as the first single off of Bloc Party‘s fourth album titled Four was a smart individual. For weeks that track gave diehard Bloc Party fans hope that Four would resurrect the Bloc Party of 2005 that we’ve been hoping would eventually reappear. The subsequent release of “Day Four” stretched that glimmer of hope out even further. Is this track Four‘s rendition of “This Modern Love?” Perhaps. Listening to Four in its entirety is a completely different experience than sampling the first two strategically released singles. It’s like sitting through a two hour film only to realize that all of the funniest parts were shown in the thirty-second preview. Bloc Party has one of the most identifiable sounds in music – abrupt guitars, quirky tempo changes, and Kele Okereke’s pleasantly piercing lead vocals. This melodic buzzing grit is the band’s wheel house. About half of the songs on Four take this sound five steps further and come off much more aggressive and abrasive (i.e. “3×3,” “Kettling,” and “Coliseum”) severely lacking any semblance of our beloved Bloc Party. The other half ring vaguely familiar with their staccato guitars and Matt Tong’s punishing drums (“V.A.L.I.S.,” “Team A,” and “Truth”) but just fall short of Bloc Party’s sweet spot. Four seems to follow suit with its predecessors A Weekend in the City and Intimacy in terms of failed expectations and disappointed hopes. If we had to rank the band’s body of work, Four would be our fourth favorite album. The disappointment feels more severe the longer we are left waiting for Silent Alarm 2.0 to be realized. Perhaps Silent Alarm will be Bloc Party‘s unicorn album, the one that critics and fans will constantly and unfairly compare everything to and whose recapture cannot be attained again.